Nikkia T. Carter is a Microsoft strategist, solutions developer, consultant, and trainer specializing in Office 365, SharePoint, and related technology. 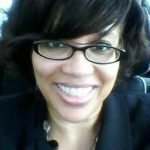 Nikkia has a Bachelor’s in Computer Science and a Master’s in IT Project Management and is a CompTIA Certified Technical Trainer .She has industry experience since 2001 starting with applications then adding in intranet development. In 2009, Nikkia changed her technology focus to SharePoint and adding in Office 365 in 2009. She has worked with clients in the government, DoD, commercial, and non-profit spaces. Nikkia is a Microsoft MVP in Office Apps and Services, is an accomplished speaker and has spoken at and organized technical and non-technical events. She has authored two video courses, has coauthored one book, and is currently writing another. She is President of SharePoint User Group of DC and organizes community events as well as serves on the Microsoft’s VFI (Voices for Innovation) taskforce and is a board member of the IAMCP (International Association of Microsoft Channel Partners) DC chapter. Formally, Nikkia also served on the Microsoft Partner Engagement Board for Microsoft's Inspire.